Hi! The finishing of my studies is around the corner! Back then when I started, I (sadly) didn't know about Splendit, hence I went to a common Swiss Bank, which gave me a credit, yet with a very high interest (~11%). My goal is to get rid of this bad deal :( through debt consolidation. Some months ago I went through a first auction at Splendit and with this money half of my debt (total 50'000) was refinanced. Now that I know that in a couple of months I will be fully working after successful completion of my Master, I would like to go through a new auction (Nachfolgeauktion) at Splendit to also consolidate the second part of my debt! It would very helpful if this happens! 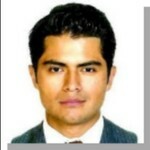 We personally met Arturo and have now mandated him for a statistical/data analysis of our credit portfolio at lend.ch. I have started with a Data Analysis company, where the goal is to solve as many, challenging problems through artificial intelligence, as possible.